This course is built to be suitable for HANA 2.0 SPS00 audiences only. 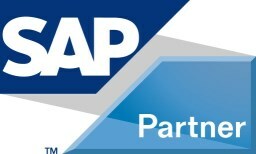 Hint: If you are interested in HANA 1.0 SPS12, please check for solution release SAP HANA SPS12 in the selection window. Please check the SAP HANA release for each planned event listed on the right, and ensure you choose a course date for the appropriate SAP HANA release before adding to the basket. In this course the participants will install, update and operate a SAP HANA 2.0 SPS00 database using SAP HANA Cockpit. The course covers the most important database administration tasks of a SAP HANA system administrator. Furthermore, it provides details about starting and stopping, changing the configuration, troubleshooting, multitenant configuration and high-availability setup of a SAP HANA 2.0 SPS00. Install and update a SAP HANA 2.0 SPS00 database. Installation and configure the SAP HANA cockpit. Perform the SAP HANA system administration tasks using SAP HANA cockpit. Start and stop, change the configuration, backup and troubleshoot a SAP HANA 2.0 SPS00 database. Backup and recover a SAP HANA 2.0 SPS00 database. In case you need to “deep-dive” on specific subjects, this course can be coherently combined with the other courses in the SAP HANA Curriculum, for example HA240 for Security and HA250 for database migration. This course is the best starting point to learn about SAP HANA installation, update, configuration and system administration. Throughout the course, you will learn about the following SAP HANA too for installation, update, configuration and system administration.